Planning and scheduling programs can be a daunting task. 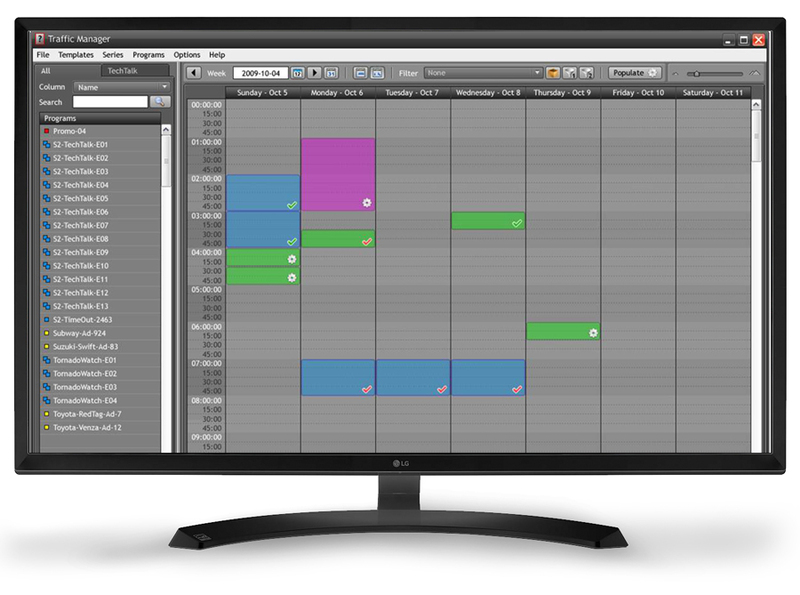 MaestroVision brings order and a global view of your programming with its Traffic Manager. 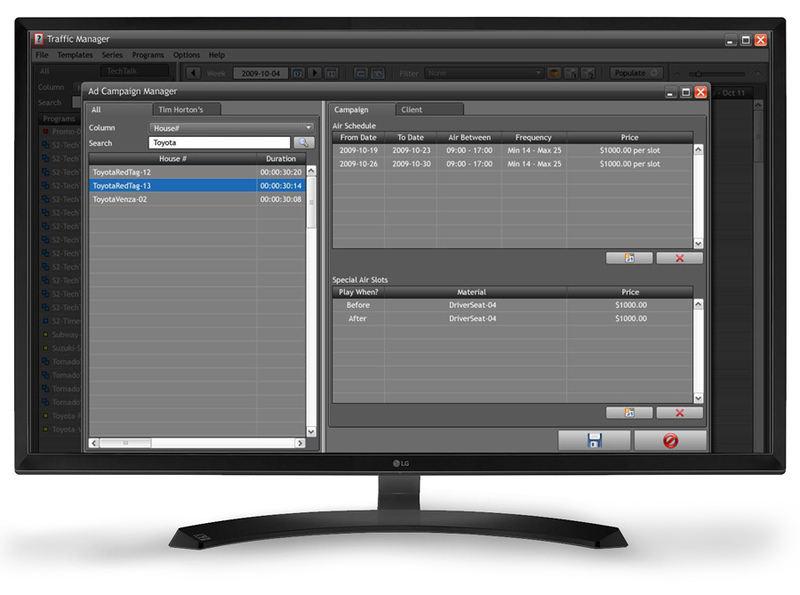 Create show series, ad campaigns and rules to drastically speed up your scheduling and keep track of your ad revenues. Export your schedules to playlists that can be imported in your automation server.